It is confirmed that the new action comedy Central Intelligence, from director Rawson Marshall Thurber, will be the opening night screening of the 20th American Black Film Festival on Wednesday, June 15, at the Olympia Theater, 174 East Flagler Street, in Miami, Florida. The highly anticipated film will be presented by the Motion Picture Association of America, Inc. (MPAA), courtesy of Warner Bros. Pictures, in advance of its nationwide release. Starring Dwayne “The Rockâ€ Johnson and Kevin Hart, Central Intelligence follows a one-time bullied geek, Bob (Johnson), who grew up to be a lethal CIA agent, coming home for his high school reunion. “The MPAA is thrilled to sponsor the American Black Film Festival for the fourth year in a row and the Opening Night film for the second year,â€ said Senator Chris Dodd, chairman and CEO of the Motion Picture Association of America. “We are pleased to partner with one of our member studios, Warner Bros., to bring their new film, Central Intelligence, starring Dwayne Johnson and Kevin Hart, to the festival audience. I want to commend my good friend, Jeff Friday, and everyone at the American Black Film Festival for the amazing job they have done over the past 20 years. MPAA’s ongoing partnership with the ABFF underscores my belief that our industry is best served when we present a wide array of diverse stories,” he continued. In addition to a first look at this upcoming film, festival attendees will also enjoy ABFF FIRST LOOK, a new signature panel event at ABFF, that will give attendees an inside look into two of the Fall’s most talked about films: The Birth of a Nation and Almost Christmas. The Birth of a Nation, presented by MPAA, courtesy of Fox Searchlight Pictures, will include an enlightening conversation with The Birth of a Nation filmmaker and actor Nate Parker, along with actress Aja Naomi King and actress Gabrielle Union. The Birth of a Nation follows Nat Turner (Parker), a literate slave and preacher, whose financially strained owner, Samuel Turner (Armie Hammer), accepts an offer to use Nat’s preaching to subdue unruly slaves. As he witnesses countless atrocities — against himself and his fellow slaves — Nat orchestrates an uprising in the hopes of leading his people to freedom. Behind-the-scenes clips on the making of the film will be showcased along with a discussion on the film’s incredible journey to date. The panel will take place on Friday, June 17 at 11:00 a.m. at the Ritz Carlton Miami. The making of Almost Christmas, sponsored by Comcast NBCU, courtesy of Universal Pictures, an MPAA studio, will bring the ABFF audience a first-look at Universal’s new comedy from writer/director/executive producerÂ David E. TalbertÂ and producerÂ Will Packer. The all-star cast is led by Kimberly Elise, Danny Glover, John Michael Higgins, Romany Malco, Mo’Nique, JB Smoove, Gabrielle Union, Omar Epps, Nicole Ari Parker, Jessie Usher,Â andÂ DC Young Fly. Almost ChristmasÂ tells the festive story of a beloved patriarch who asks his family for one gift this holiday season: to get along. If they can honor that wish and spend five days under the same roof without killing one another, it will be a Christmas miracle. Talbert, Packer, and Union (who also executive produces the comedy) will participate in a panel discussion for festivalgoers about the making of Almost ChristmasÂ on Friday, June 17 at 2:00 p.m.Â at the Ritz Carlton Miami. This is all, obviously, something you don’t want to miss. 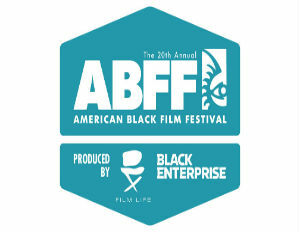 To register, or for more information about the nation’s largest gathering of Black film and television enthusiasts, American Black Film Festival, taking place in Miami, FL, June 15-19, log on to www.ABFF.com. Be sure to follow on social media: #ABFF20, #ABFFBackToTheBeach; @ABFF.